TOEFL helps students demonstrate that they have the required English skills considered necessary for success. Listening measures your ability to understand English. Speaking measures your ability to speak English. Reading measures your ability to understand short passages similar in topic and style to academic texts used in English-speaking colleges and universities. Writing measures your ability to write in English on an assigned topic. All sections are scored between zero and 30, the total TOEFL score is out of 120. A candidate receives scores for each section and a total score. Speaking section tasks are rated between zero and four, and converted to a score between zero and 30. Writing section tasks are rated between zero and five and also converted to a score between zero and 30. 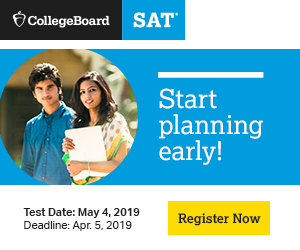 Scores are available about 10 days after the test online, and printed score reports are posted about 13 days after the test. Scores are valid for two years after a test. In order to get an official score report, you must write at least one essay, answer at least one question in the Listening and Reading sections and complete at least one speaking task. There are no PBT centres in India. The best way to prepare for TOEFL is through continuous practice. In fact, ETS itself provides a lot of free TOEFL preparation material as well as official TOEFL preparation & study guide books that can be bought. 2. ETS has also started a six-week TOEFL® Massive Open Online Course (MOOC) that is available through edX. This MOOC began in June, 2016 and covers each of the 4 TOEFL sections every week and in the last 2 weeks gives useful tips for TOEFL exam day. Known as "TOEFL Test Preparation: The Insider’s Guide", this MOOC is available on https://www.edx.org/course/toeflr-test-preparation-insiders-guide-etsx-toeflx. 3.You can also watch useful videos on the official Youtube channel of TOEFL, "TOEFLtv". 4. You must go through as many TOEFL iBT practice tests as possible to increase your confidence and improve your test-taking speed.